It's Fitness Month here at iMore and Mobile Nations and part of getting in shape involves eating better which is why this week we're focusing on nutrition. It's typically easier to eat healthy by cooking your own meals as home, but for those times when you choose to go out to eat, HealthyOut for iPhone will help you find healthy dishes at local restaurants that meet your preferences. The first time you use HealthyOut, it will ask you to select from a selection of dietary and nutrition preferences like Atkins, Weight Watchers,gluten free, low fat, low sodium, vegan, and more. 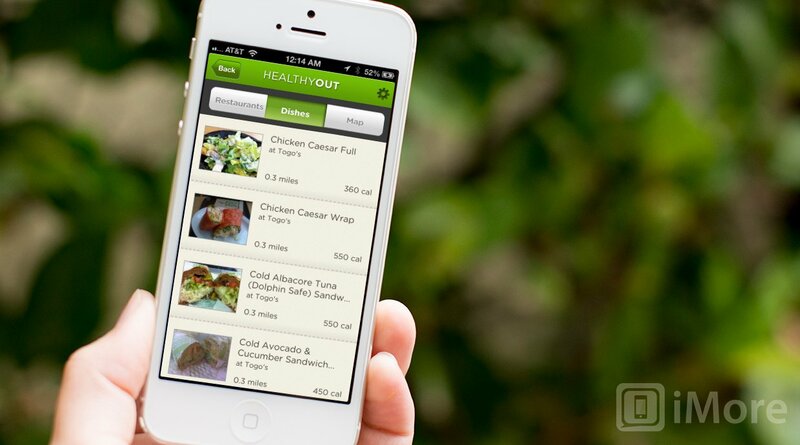 Once you make your selections, HealthyOut is all set to find meals at restaurants near you. When searching for food, you can filter the results in HealthyOut by cuisine, ingredients, and type of dish. You can even specify that you're not interested in eating salad with the "Not a Salad" filter. For each dish, you can see detailed nutrition information including calories and points. HealthyOut is a great app for those you may not be able to eat at home but are still looking to make a healthy choice. If you pick this on up, please let us know what you think!